Finnleo's Patio Sauna is designed for today's busy, transient society. It can be delivered and in place in minutes–rather than hours. The Patio sauna combines the popular characteristics of the Sisu series and the Metro Outdoor series. It includes simple panel construction and assembly of the Sisu series, but with the integral walls and gable system of the Metro series for a uniquely portable yet, strong and durable outdoor Patio sauna. Perfect for the backyard or deck. 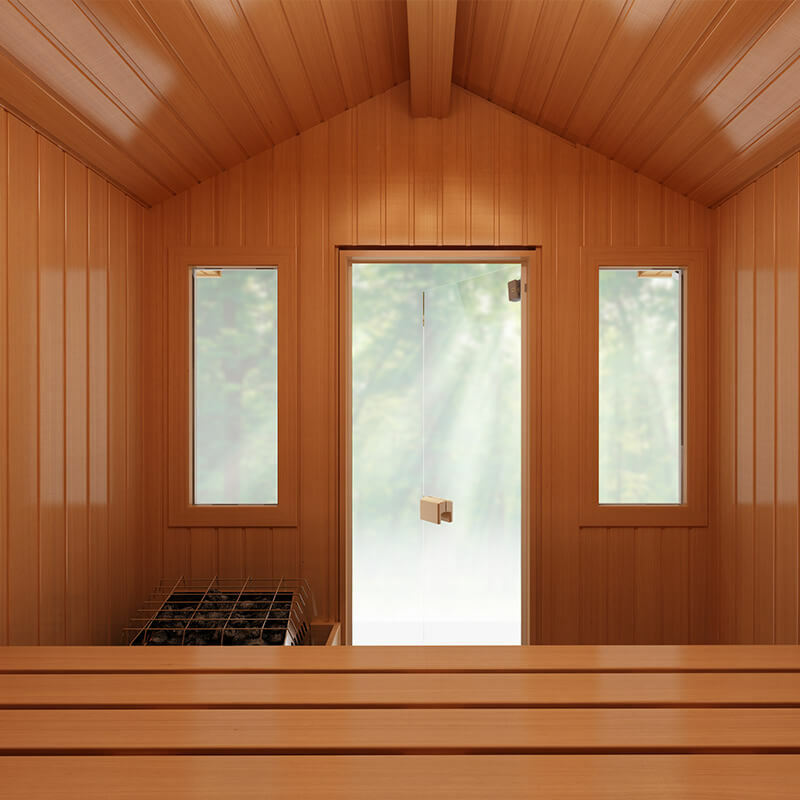 The Patio sauna comes in four sizes: 4×5, 4×6, 5×6 and 5×7.